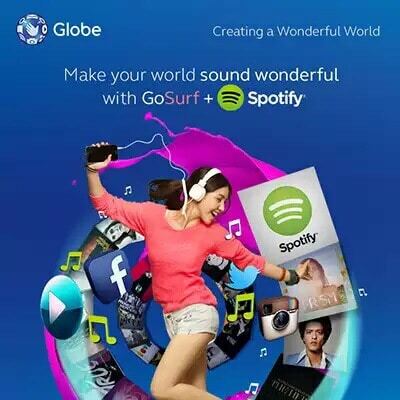 You are Here >> Home >> Featured >> I made the switch to Globe GoSURF – Why you should, too. Remember my recent mobile data usage test to see if it was actually possible to go beyond the 3GB monthly threshold of telcos? That particular test actually proved that even with a Fair Use Policy, I was comfortably within the 3GB data cap. I’m actually happy that I was able to help a good number of people understand that most of our paranoia comes from the fact that we just want more, even when in reality, we consume way less data than what we think. But apparently, there is still a lot of people paranoid about the Fair Use Policy. Some of my readers complain that non-WiFi users hit their daily/monthly data cap much faster because they are solely dependent on mobile data. That’s understandable, although mobile data was never intended to be used exclusively. This particular data service still needs to be complimented with a substantial WiFi connection. But at the end of the day, some people still cannot quite understand that. That’s ok. No need to fret over that anymore because there actually seems to be a better solution… and in fact, I already recently made the switch! Coming from my very old Supersurf data package (which I’ve been using for roughly 3+ years with my postpaid plan), I eagerly moved to Globe’s new “GoSURF“ plan. Because Globe GoSURF offers competitive bulk (megabyte/gigabyte) plans allowing me to do all the online activities I need – without worrying about being throttled. In a nutshell, Globe GoSURF allows me to only pay for the data I need. If you consume less, then you spend less. Perfect! My old Supersurf addon cost me something like 999.00 a month. It came with the notorious and much talked about data cap via their Fair Use Policy which states that if I consume 1GB/day or 3GBs/month, my data speed is at risk of being throttled down to 2G speeds. On Globe’s GoSURF plans, for the same amount I was previously paying (999.09), I can easily avail of GoSURF’s 5GBs of monthly data – comfortably higher than my average consumption. That means there is no threat of data throttling. Optus (Australia) offers 3GBs of data for 30 days with unlitext and call for a whopping Php 4,123.68. SingTel’s 3GB data plan for 30 days with 900 SMS and 200 mins of call costs Php 2,121.43.
du in UAE has a 1GB DATA ONLY plan for an absurd Php 1,191.40. These are just some of those I’ve looked up… crazy, right? From what I know about responsible mobile data use, GoSURF is the best data offer out there. Not only that, apart from freeing myself up from the dreaded old 3GB monthly cap of the Fair Use Policy, I also get to enjoy Spotify and get to follow all my favorite artists for my R&R and listen to great workout playlists! Apart from being able to avoid data throttling, postpaid subs are also offered no-billshock guarantee plans in case they exceed their allotted MBs: Php1500 (GoSURF 999 & below) and Php3000 (GoSURF 1799 & GoSURF 2499). I don’t know ’bout you but considering how these new Globe GoSURF plans have given us better and more affordable options, I couldn’t think of any good reason to look elsewhere, let alone complain about going over any monthly data cap. My advice? Go easy and GoSURF. You’ll be glad you did, just like me. ‹ Man of Steel sequel – First look of Batman and Batmobile! › The Flash – Extended Trailer! i didnt understand!!! if you by pass!! in the limit of mb that you use!!! ? whats going on it can throtlld?? GOSURF 999 IS 5G DATA LIMIT IN A MONTH ONCE YOU EXCEED ADD 2 PESOS PER MB. EXAMPLE: 999 5G + EXCESS 100MB*2 PER MB = Php 200. TOTAL BILL 999 MONTLY+ 200 EXCESS = Php1,199. IF YOU CONSUME 10GB UP, YOU ONLY PAY Php1,500 because of anti bill shock offered by globe. you will never throttled down after 5 gb data limit because it is consumable. If you use GoSurf, Spotify will not affect or eat up on your data allocation. Good Day Chuckie, I am also on Supersurf for 11months no and suddenly I received a text message from 8888 that I have reached the data limit. I am now at the verge of disconnecting my line for my consumption is not average since I’m a freelance graphic artist / IT Support / Video Presenter. I just want to make it clear If when I switch to GoSurf, data throttling will not be an issue anymore and my monthly 999 will be 1500? Please correct me if i’m wrong. Many thanks for the blog! I suggest you try out one of Globe’s GoSURF data plans. Find out how much data you normally consume in a month and get a plan that fits you. You can more or less estimate your consumption by downloading a data manager app that can give you a clear idea on how much you eat up data. Hi, thanks for this info. I just wanna clarify since you were able to use GoSurf. I’m a SuperSurf user for nearly 3years and I enjoy SuperSurf 999 a lot even though I have a 1GB cap per day. I’m a web developer and 1GB is enough for me to have a Google Hangout convo with my clients and at the end of the day I can consume around 900mb though sometimes I reach more than 1GB but I do have a backup prepaid sim for registering a supersurf 50 just in case. Looking forward to hear from you Chuck, thanks! Thnx, good thing to hear from you. However if you go beyond 5G say in just 3 days you will be charged 2peso/Mb then on, BUT if you reach 1500 total billing, you will only be paying a maximum of 1500 even if you consume 30G/month or more, plus it doesnt have FUP… So i guess this is better now…. Hey guys I’m also a supersurf user for more than a year now. And for me, i will stick to my plan. I’m not scared that i will go beyond my bill which is 999 since they have FUP and refreshes every midnight. I’m just using my data to make sure I’m always online in facebook, viber and Clash of clans too lol. 1500 is really crazy once you go beyond 5gb.. 5gb seriously? Just get a dsl line with wifi and you’re good to go. And as Chuck said, mobile data is not meant for heavy usage. For those who doesn’t even reach 500mb per day, Gosurf is probably for you. Much cheaper yes it is. Come to think of it, would you sacrifice speed while having “unlimited” that’s limited to 3gb per month with anti bill shock since its only 999 and refreshes every midnight. Or would you go for “NO FUP” but once you go beyond you might end up paying 1500 for data usage only? This goes to moderate to heavy users. I am a SuperSurf subscriber for 2 years now. I saw it on the news that DOJ issued a statement about false advertising regarding Telcos “unlimited” branding. Throttling down of speed is one of them. Does this violate the contract we had with Globe? I’m sure that 2 years ago, 2G throttling of speed was not yet in existence. So now if I suddenly receive a message from 8888, will that be a violation with the contract I signed with Globe 2 years ago? This is ridiculous! 3gb a month for 999?!? When my speed is throttled down, I can’t even do Facebook! Images load very slow or doesn’t totally load. Same thing with Instagram as videos are useless unless of course you are wiling to wait for 5 mins for a 10-second video. The only thing usable is Twitter and Google. That’s it! Twitter and Google for the rest of the month which cost a whopping 999 Pesos! I called customer care to inquire about disconnecting my line. She said I still have remaining few months on my contract and that I need to pay 4,000+ for contract termination. With the 3gb limit, I am wiling to pay 4,000 and switch to other network instead. GoSurf is more terrible than SuperSurf! Guys i’d like to help you understand GoSurf plans. Sabihin natin Gosurf999 + unli call text 499 ung plan mo. On top of that plan yung metered usage. So ang lumalabas, 499 + 999 + 1500 = PHP 2,998!!!!! Good thing is unlimited and no throttling kaso mahal. May tip ako sa inyo. Get the Plan 499 + gosurf 99 only para 499 + 99 + 1500 = Php2,098 lng( downside is mas mataas cashout sa phone na kukunin mo) ********WARNING******** There is still a possibility na lagyan din ng FUP ang gosurf if marami pa ring abusers. Is correct. I’ve clarified this with a Globe agent. You can also read more here: http://www.globe.com.ph/help/data-and-network/gosurf-and-spotify/gosurf . I’m also waiting for response to kidcajes. My plan is also super surf999 with unli internet which will be for recontract after 3 months. Because the offer now with lifestyle plan is that it has base of 499 for unli call and text which I won’t be usually using as i have seperate prepaid. With the new sheme i will be paying like I read on earlier post above 1500 which is too inconvenient for me. I’m under postpaid supersurf999 and there’s a little flaw to that GoSurf, if your in an area with weak or low coverage it will take you minutes or hours before the page load and probably you will hit that refresh button thus downloading the same data all over again…consuming your allotted data plan. so it would be ok ONLY IF they have VERY FAST INTERNET. Australia, SG and UAE have high standard of living, so we cant compare them with our peso power, barya lang sa kanila yan, just like when I was in HK 3-4weeks ago I purchased their prepaid worth 100HK$ (consumable) for use of its data service. 7-day pass will use 78$(400-500pesos) from the prepaid, a bit expensive, yes!(vs. our peso value) but it was worth it. Because I captured a 3min video (from my phone which is connected via tethering/hotspot to another phone where the prepaid is being used) and was uploaded in less than 30secs…THAT FAST!! Sure they also have a fair usage but they don’t throttle or cap…. ee bka nmn po kc tlgang load lng yan,. nid po kc na mgpaKYC pa before mkabili gmit ang globe billing. Hi everyone, I am also from the supersurf999 plan. My piece here is that supersurf accounts should not be affected by the FUP changes of globe since we are from the old plan. When we signed up this wasn’t in the deal. No matter how convincing globe says they need it to limit usage etc… bottom line is we signed up for unlimited internet. They may say it’s unlimited but just throttled to 2G but that’s still unacceptable since that wasn’t in the deal when we signed up. BTW: In Australia, it is true that the price of their internet is expensive. But they adhere to what is in the contract. There are plans there , old plans that have unlimited internet. They don’t offer it anymore in the new plan but they still honor it since that was what they signed up for. And whenever the telecom there do not adhere to their posted advertisement or plan they get fined by ACMA (like NTC in the philippines) who regulates and protect consumer rights. 1. Supposing there aren’t any signal issues, what will be the minimum guaranteed speed of my connection AFTER the bill cap is reached? 2. Is there a difference in the speed of the 1500 vs 3000 bill cap, after the cap is reached? I have the same question too Ponciano. I searched the internet, and I read in one article that after reaching the 5gb/month data allocation with gosurf999, your internet connection will still continue but in a slower speed, I’m not sure though. I still want to be clarified with this because I’m also planning to avail of the gosurf999 plan. Grrr… I’m an online teacher and a stable internet connection is really important. My thoughts exactly. If it were the case, I’ll gladly opt out of my SuperSurf999 and make the switch. Is it daily or monthly capping? Any answer? Can’t live with monthly capping coz I’m a torrent freak. I can consume 90-100gb monthly with my 1 mbps plan with pldt. If you’re a torrent freak, you shouldn’t be dependent on mobile data. It simply isn’t gonna work. I believe the reason why data capping was also implemented is to prevent heavy data abuse by individuals such as torrent users. Have a wired broadband service installed in your home instead. Their tattoo home broadband P999 2mbps has 10g monthly data according to their site. If that is monthly capping, it is very far from my 90gb consumption on pldt P990 1mbps plan. Way way far. I’m just looking for a better deal with other network but looks like I won’t be changing for the moment. correct me if im wrong chuckie, so once you have consumed 5gb you will pay for the extra mb that you will consume but since there is anti bill shock you will be charged only up to 1500/mo? if sowhat if you have reached the 1500 mark and you just halfway the month? then would that mean 10gb/mo=1500? 15gb/mo=1500? 20gb/mo=1500? does this mean that 1500= UNLIMITED LTE? Spoke with a Globe store manager about GoSurf. He explained that it will be “unlimited” beyond P1500. I asked for black and white but he can’t provide any. I want to stick to my plan Unlimited Data, that’s what I signed up for, 3gb is not enough for me. I don’t know why Globe is still capping their subscribers’ internet. DOJ made clear that they should not throttle their subscribers’ internet connections. I think Globe is just trying to eliminate those existing unlimited data subscribers, well maybe because we are right to demand unlimited data service. Please read more on the link. while its good and dandy that 3GB is morethan enough for the author, I say SPEAK FOR YOURSELF there are Data monsters out there.. me being one of em. I am in real estate selling and most of our projects are in the provinces. 70% of my clients are OFWs so we rely on the internet. You’d be surprised how some hotels/inns, establishments in said provinces dont offer wifi so to sum it up, I heavily rely on my data. there are also a lot of instances that my co-workers need connectivity so I do share it via Hotspot. With the technology today, 3GB or 5GB is sooooo easy to consume. all my files are in the cloud which consistenly syncs all the time, i collaborate with manila team via internet, video calls, emails, presentation, high res photos, subdivision plans, video presentations, leisure gaming, MMOrpgs(dont judge me.. i make use of internet as i please), Video streaming, music Streaming, map/navigation data usage, strava, social media and such are morethan enough to eat up that puny 3GB in a week… incidentally i could finish all those data. its like starting a game with a set rules and once the other player is losing, you switch the rules of the game.. you cant change the rules of the game while the ball is in play..
so yeah.. im forced to comply.. and i will… just dont dress it up… its insulting..
First and foremost, with that kind of usage and your lifestyle’s demand for data, you shouldn’t be dependent on mobile alone. You yourself have pointed out one by one how your activities devour data and at the same time even share data by providing a hotspot for friends. This is basically the reason why a datacap has been implemented – to avoid abuse of usage. Because let’s face it, how you consume data is abusive. With that kind of consumption, a home broadband subscription better suits you. If you’re away all the time, then pay for more mobile data. You can’t have your cake and eat it too. Actually we DO understand how these plans work – and quite well. You keep saying people with mobile data plans ought to go with a home broadband plan. Well guess what? My mobile data sim is INSIDE my router. In the house here, it is our Wifi. 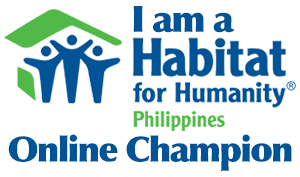 And I would GLADLY have and pay for a home broadband account IF (a big IF) PLDT or ANYONE would actually give me one! I applied for PLDT DSL at our house back in November 2014. After 5 months of total BS, runaround, and complete idiocy, they finally come back and say I can’t get PLDT home dsl because my immigration identity card says status: tourist. What???? Since when has that ever mattered? MOST of us expats have status tourist for many many many years because it is so difficult to obtain permanent residence status. And really it has nothing to do with our ability to pay or even if we will pay. So, the bottom line is this. A LOT of people simply cannot get home broadband because it is not available – and it is the telecoms who have the policy of not allowing us to have them. Here in the Philippines, mobile data is very important because broadband DSL and cable is not all that available. BELIEVE ME. If it was, I would have had it already years ago. Keep in mind that in the USA, we have speeds of 40, 50, even 100 mbits per second and it costs maybe $40 USD per month. $40 USD per month here and you are lucky to get maybe 3-5 MB per second. And even with that, you may be capped per month. The Philippines is light years behind with Internet services and speeds. Even if you have the money to pay for it, they either don’t provide it where you live or they simply won’t give it to you. What does it tell you when a company can afford to tell you to pound sand so easily? They don’t really need your business. Like so many monopolies here in the Philippines, they make tons of money, and really don’t care if it works or not. And the users are just happy that it even works at all most of the time. I will give you one thing. If my mobile data was just for use on my phone, then yes I would be fine with 3GB. But, I am a programmer. I need to sometimes download large files or installers for my work. So, what are my options here? Not many. I too have tried Gosurf plans and the cool thing about it is that it actually works. When I use supersurf, I am just damn lucky if it works at all some days. It’s not my signal strength. I have plenty of signal. It is that Globe is not delivering the speed – simple as that. I have two Internet companies. I run them both from the Philippines. I can’t get home broadband, not even if I want it and can pay for it. Something just not right there. And one more thing… NO usage is abusive. How can using data ever be considered abuse? Who are you abusing? if the telecom doesn’t have enough bandwidth to support what they sold, then they shouldn’t be offering it at X pesos and calling “unlimited”. Internet and wireless data ARE the future. To call utilizing that service and connecting with the world “abuse”, is unreal. Imagine 5, 10, 15 years into the future and we will look back and remember they used to call us “abusers” for using “too much data”. Data is the life blood of this world now! Too much??? huh??? hi chuckie? i just want to know any update on your plan now? did u already experience any trouble in your connection now or still stable and fast? can you confirm to me if it is still fast after consuming 5gb. Hi chuck?! I’m planning to suscribe to gosurf plan999… but i think it’s more practical to just go for plan299 or plan499, since the anti bill shock doesn’t allow you to charge for more than P1,500 and will not slower the connection even when you go beyond your monthly data allocation… it was just the same(for a light to moderate users)… not unless the anti bill shock that locked the bill in P1,500 also lock the usage/connection when you’ve reached the P2/mb to P1,500 in total?? hi guys, naka usap ko ang isang representative ng globe sabi nya, after using the alloted GB per month,they will give us another 1.5gb without experiencing slow internet connection,but after that additional 1.5 gb hihina na daw ulit internet connection.sabi pa nya there is no such thing as unlimited internet connection now, lahat may limit.kahit sa ibang internt service provider(smart,sun). Now my questions are already answered. Tnx to that representative for being honest. I don’t think that that 1.5GB will be given for free. Remember the anti-bill shock limit of 1500 or 3000? I think that will be the amount that you will pay for that extra 1.5GB of data alloc. Hi Chuckie. I just want to know, is gosurf reliable for video streaming? I’m currently still on my Supersurf plan but the FUP is really annoying now. I stream videos for both work and entertainment. Hi, I’ve been researching regarding the Data Cap of Globe LTE plans and found your article interesting. I’m a Web developer, graphic designer and an online marketing strategist. My work requires me to have a stable and fast internet connection. I have already estimated my data usage and I can reach up to 50gb for 3 days. Is this GoSurf have anti-bill shock if ever I reached a maximum of 800gb+ or worst case a 1TB+/ month? I’m worried about the 2php/mb fee. You see, I’m an extremely heavy data user since I also download Video Tutorials daily from Lynda, use Webinars, Podcasting and other online education for my training and workshops. I also download a lot of paid movies online and PC drivers and installers for my PC/Laptop/Gadget repairing business. Hope you can provide me a more specific response regarding this matter. Thank you. God bless. Hi Chuckie! I just want to clarify, I am using now a supersuf999, I am planning to switch into Gosurf499 because i am not that really heavy user. I just use internet for FB, chatting on other apps and browsing in google. The only thing that came on my mind if i switch to Gosurf499, it is good for a month right with a usage of 1.5GB, what do you mean by that?? 1.5 GB allocation per day? or let’s say for the very first day of usage.. i consumed 500MB? does it mean that the available left for the remaining days is only 1GB? You are correct. If you already used up 500MB on a single day, that means you now only have 1GB left for the whole month. For a person who’s active in social media, that isn’t enough. I have 5GB allocation per month and still I exceeded and ended up paying P1000+ for the 2nd month now. Been a Postpaid user for a year and a half. Made the switch last January from SuperSurf to GoSURF. BIGGEST MISTAKE OF MY LIFE. I tried the Spotify FREE from January to March – seems good at the time. All the nightmares of overcharges came after subscribing to Spotify Premium. What the hell is that Globe!? Suddenly Spotify eats up my data allocation every month. This is the 2nd month that I am experiencing over charges amounting to P1000+ ever since I subscribed to the Premium. I think I would just go back to the olden days of downloading music from torrent. To make the long story short, the 1500php maximum payment bucause of anti bill shock of globe is unlimited internet? wow some of you get the FUP in the 15th of the month while i get it in 3 days…. Bakit mo naman isasaksak lahat ng 5 computers mo sa isang 1.5GB subscription? Medyo sablay naman ang plano mo. Sablay plano pre. Magpakabit ka nalang DSL. 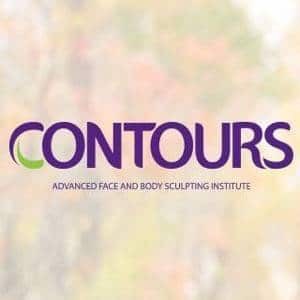 Let me share my experience.. I am using gosurf 999 for my Internet Cafe with 13 units of PC.. Included sya sa plan ko with Samsung Galaxy J7. My plan is Unlipostpaid + under Mybusiness account. Computation is 600 Base Plan + Gosurf 999 max of 1500, = 2099 per month.. I consume an average of 12 GB a day.. Sa experience ko hindi naman sya bumabagal. Average speed sa area ko is 7-10mbps. Fastest I experienced so far is 16mbps.. I am using Huawei b135s LTE modem.. much better sa dating kong broadband plan na 7mbps for 2499 with 10gb a day cap..
sa Unlipostpaid plan, 2099 per month, mas mabilis na, walang cap, may kasama pang phone every 2 years. how about when i accidentally turn off my gosurf? how can i turn it back?